On Feb. 21, Russian figure skaters Evgenia Medvedeva and Alina Zagitova each set world records during the short program at the Winter Olympics in South Korea. This was the first time in the history of sports when two competitors from the same country set world records one after another. Medvedeva received 81.61 points, beating her own achievement reached earlier during this Olympics' team tournament competition. A few minutes later, Zagitova surpassed her friend and teammate with a score of 82.92. Third place in the short program went to Canadian Caitlin Osmond, who finished with 78.87 points. After the young ladies’ astonishing performances the figure skating world split into two. 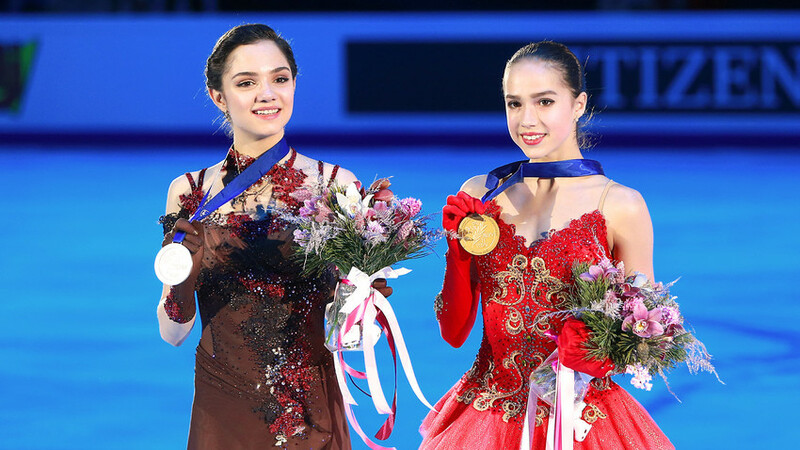 One group believes that Medvedeva deserves winning the Olympic gold because her way to the tournament was a thorny one - with a serious knee injury and a long-term recovery that led to finishing behind Zagitova at the European championship. The second group believes that Zagitova deserves to be the greatest because she demonstrated the most technically difficult program at the Olympics, iron nerves and incredible physical ability. The one thing that the figure skating world agrees on is that no one else will be able to challenge the two ladies' chances to win the competition.